Fish and invertebrates excrete ammonia as a waste product. This is added to the ammonia produced by bacteria working on other waste materials in the aquarium such as dead plants and uneaten foods. Ammonia is very toxic to fish and invertebrates. Aerobic bacteria (nitrosomonus and nitrobacter) convert ammonia to nitrite and nitrate. 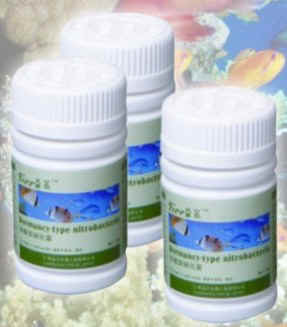 Biological filtration must be established in the aquarium to convert toxic substances into other less harmful substance. The dormant nitrifying bacteria speed the development of the biological filter to keep fish and invertebrates safely.